AdMob is Google’s advertising platform. It is monetizing and promoting mobile applications. Application developers allow by AdMob for promoting their applications through in-app ads, provides intelligent insights through Google Analytics and monetize their applications by enabling in-app advertising. Android and ios platforms are at Adomb, Adomb also available support for Unity and Coco’s gaming engines. AdWords account to distribute ads for iOS, Android, or gaming applications. we can create mobile app install campaigns, by connecting AdMob to AdWords. For getting more people to download your app. you should return to campaigns. because These campaigns are specific to that. with AdWords you can apply custom targeting, ads and keywords, all these are based on your app ID and miscellaneous information. AdMob Mediation is the one unique feature of this mobile advertising platform. It also allows creating house ad campaigns. Tracking installs as conversions for evaluating your campaign performance easily. you can allow access all the dimensions and metrics that matter to your application such as app version, engagement, screen size, screen views, user acquisition, revenue and more. because AdMob fully integrates with Google Analytics. Advertisers who want to promote their services or products are creating Ads. And the advertisers pay to show ads that are relevant to your app users AdMob works with advertisers. so AdMob works with them. when you create space for ads in your app. 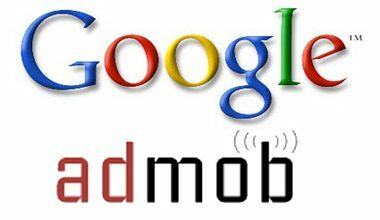 The google ad Network is one of the largest global ad networks, AdMob works with many advertisers. Million of advertisers compete for ad space in your app. and it occurs from the largest global brands to the hottest new direct-to-consumer start-ups. So there is more demand, more revenue for you and more relevant ads for your users. It is expanding advertiser demand to third-party networks until the cast a wider net. AdMob want to make sure about showing ads so AdMob does the heavy lifting. Hybrid revenue models are the combine to your in-app advertising with other revenue sources and example for that The in-app purchases use to create a balanced and sustainable source of income.